Now Accepting Nominations for the NAA Silver Trowel Lifetime Achievement Award, awarded annually at the NAA Annual Conference. 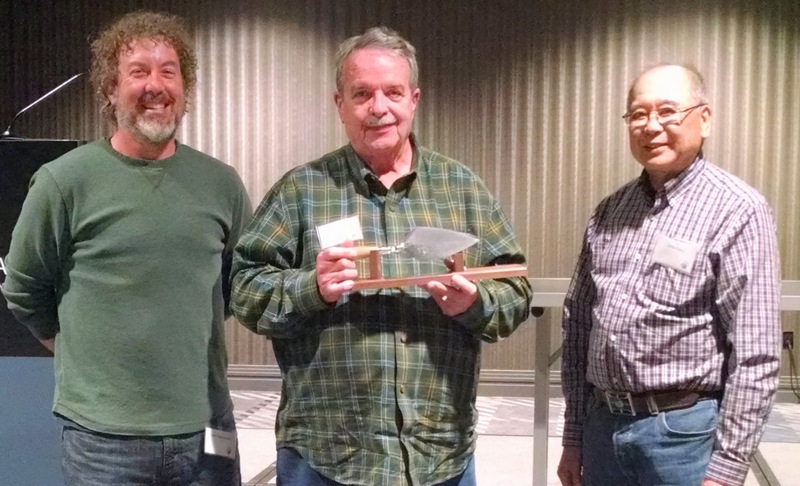 The Silver Trowel is presented to professionals that have spent a majority of their professional career working in Nevada, have made outstanding positive, lasting contributions to archaeology in Nevada, and have maintained the highest standards of professionalism and ethics in the conduct of his or her career. The award was created and first presented in 2004. Now Accepting Nominations for the Ting Perkins Award, awarded annually at the NAA Annual Conference. 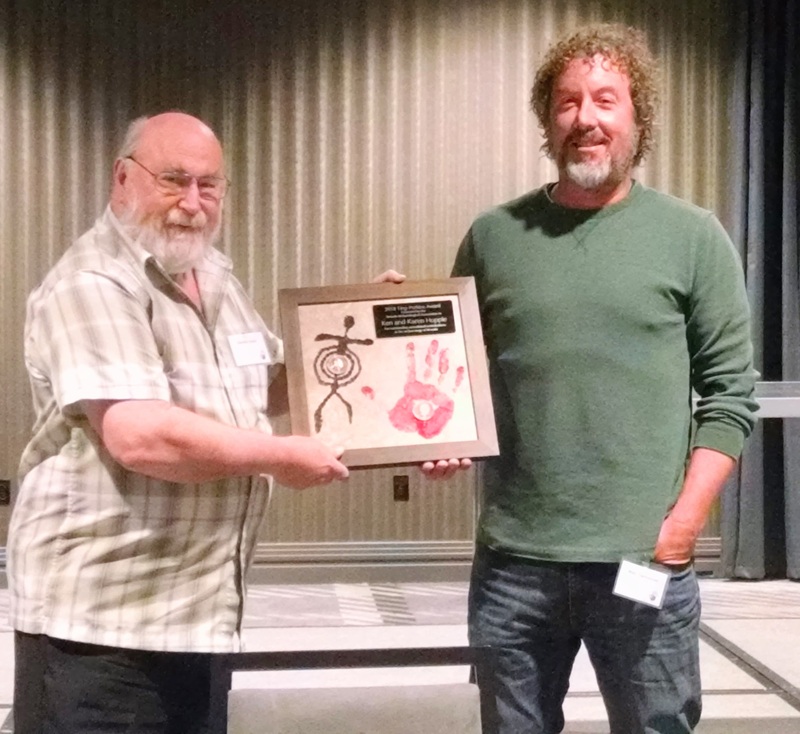 The Ting-Perkins award is presented to a deserving individual for outstanding avocational contributions to archaeology in Nevada, and was created and first presented in 1982. The award is named in honor of Dr. Peter Ting (first President of AM-Arcs in 1967 and head of the Nevada Archaeological Survey) and Fay Perkins (who in 1924 along with his brother, John, first brought the Moapa Valley’s “El Pueblo Grande de Nevada” to the attention of Nevada Governor, James Scrugham, and later became curator of the Lost City Museum in Overton from 1952 until 1956). 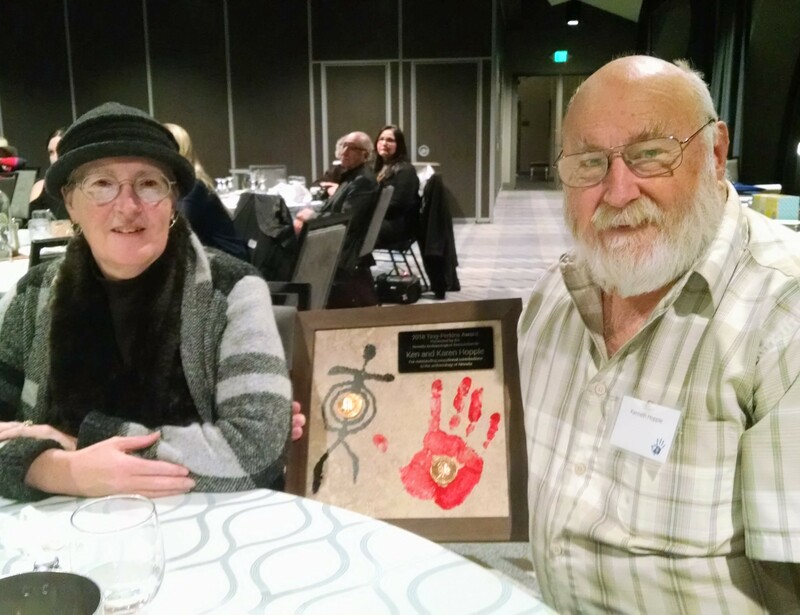 This year we have two recipients of the Ting-Perkins Award for outstanding avocational contributions to Nevada archaeology. The NAA is proud to recognize Ken and Karen Hopple as co-recipients in 2018. 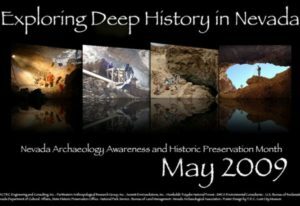 The 2009 Nevada Archaeology Awareness & Historic Preservation Month Poster Wins 2nd place in the 2010 Society for American Archaeology (SAA) Poster Contest! Check out the most recent past poster contest winners on the SAA website.